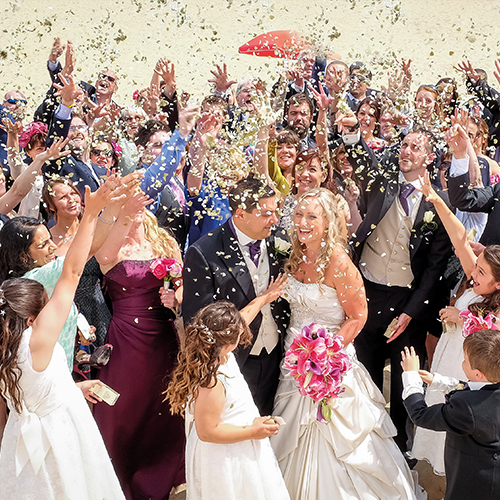 Gemma and Sebastian Lowtoo got married at the Sandbanks Hotel last year in July – this is their story. We both absolutely love the beach, so having our ceremony and reception at the Sandbanks Hotel was an absolute must – there’s no other venue like it. 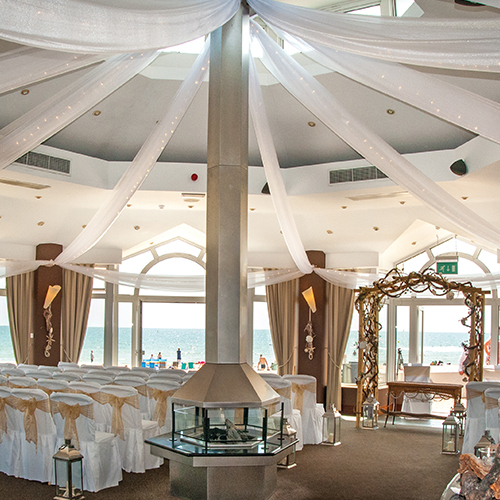 It’s literally steps from the sand and the Compass Suite, where we took our vows, has breathtaking sea views. Plus, the facilities for the reception are just spectacular – direct access to the beach, a large patio area for drinks and a private bar area where guests can spill out onto the sand. Perfect! We don’t know what we would have done without out trusty wedding planners, Sebastien and Lauren. They made the experience so calm and organised and their flexibility over the arrangements was a real bonus. They adjusted the wedding breakfast menu to provide us with our ideal starter, main and dessert; helped design our table plan and place cards and were always quick to come back to us if we had any questions or concerns. Sebastien was even seen tying the bows on the flower girl dresses – his attention to detail was spot on. And we’d definitely recommend the recommended suppliers! Deborah and Fran’s photography was amazing, Maria made the venue look gorgeous, Karen’s cake looked and tasted incredible, Jess did my makeup perfectly and Jo curled my hair into flawless beachy waves. Then there was DJ Alan from Party Dexx, who definitely got everybody on their feet! As we’re not local, we stayed at the hotel the night before with close friends and family. We had a fantastic ‘last night as a Watts’ celebration resulting in a cheeky late night swim before bed. It was such good fun! The guests thought the venue was perfectly ‘us’ and it was such a treat to be able to crawl up to our beautiful balcony room at the end of the night. 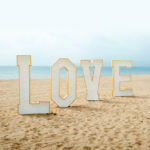 From the cute wedding favours, wedding cake masterpiece and relaxed beach theme to the perfectly timed photographs, fabulous food and party atmosphere, the day was more than I ever dreamed it would be. We can’t thank the Sandbanks Hotel enough!